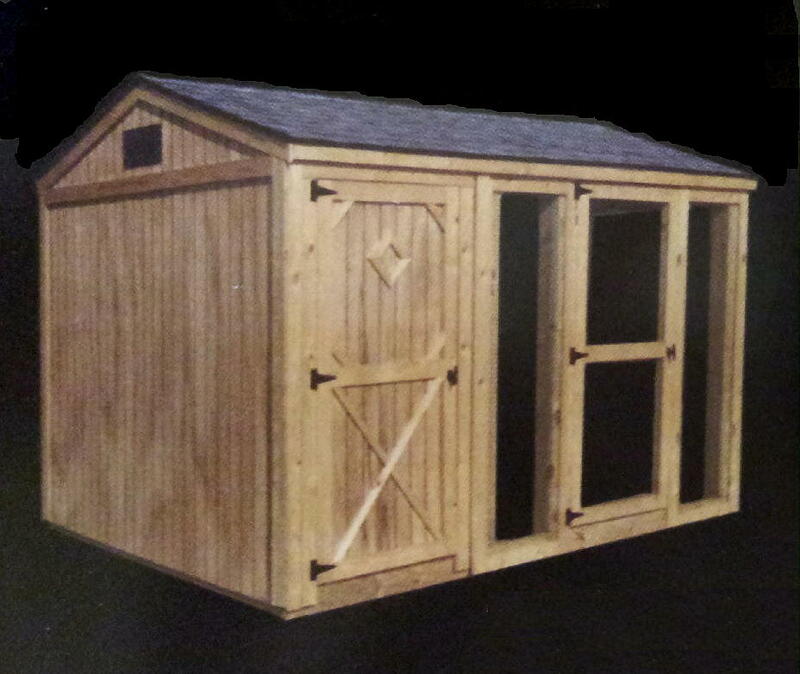 The Chicken Coop offers an all in one unit with an enclosed, ventilated area with egg boxes and roosts, and an open area with heavy duty wire mesh screen. Both areas have full sized doors for access. A small pass through door is located down low between the two areas providing access between the two areas. so you do not need to pay for off-site storage.